Welcome to my Neoquest 2 sprint through guide! If you’re like me and are interested a couple of avatars and a trophy, trying out Neoquest is for you! There are two versions: Neoquest 1 and Neoquest 2. This guide will run you through Neoquest 2, Chapter 1, Meridell on Normal Mode! This will take you till when we pick up Mipsy and where to go after that. As you may already know, there are a lot of bad guys in Neopia. But there are also a lot of good guys looking to bring them down. 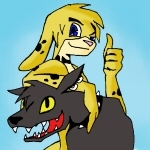 Neoquest 2 stars Rohane, a brave blumaroo leaving home to restore the throne to his beloved king. We’ve got a warrior Rohane, for now it’s just him, but later he needs some friends to save the world. My first piece of advice is FIND SOME MAPS. I know Jelly Neo has some available! You don’t want to waste your precious time trying to find something when there’s a map for it!